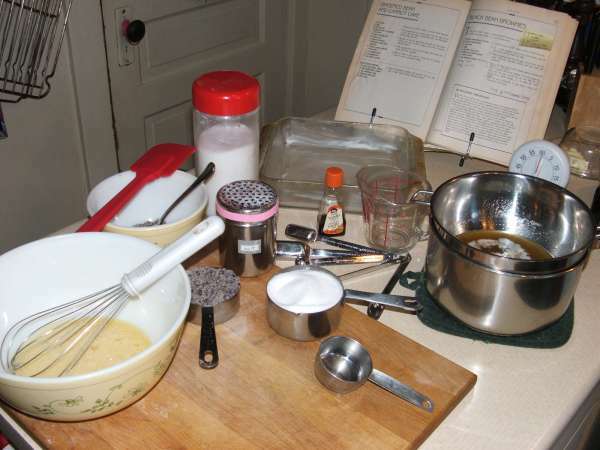 Normally, when I make brownies, I make Brownies Cockaigne. 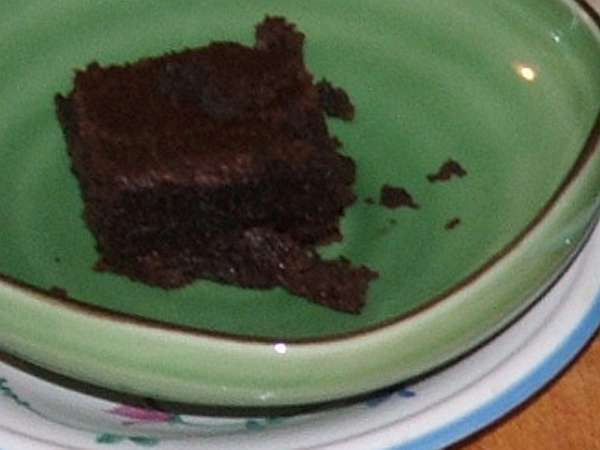 But the flourless brownie recipe in the dessert section of Sally and Martin Stone's book "The Brilliant Bean" was too tantalizing and I had to try it. It's fabulous! Scroll up and down for more photos. 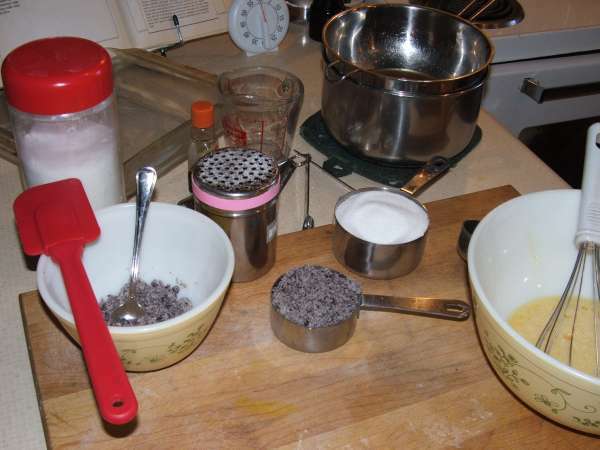 The ingredients for black bean brownies are butter, unsweetened chocolate, sugar, eggs, puréed black beans, vanilla and salt. 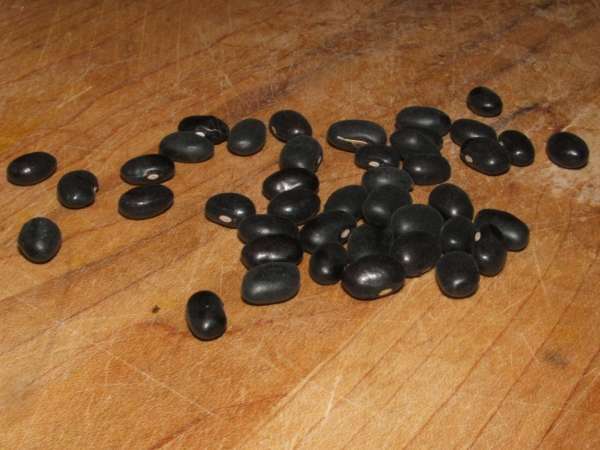 I used dried black beans (but apparently rinsed and well-drained tinned black beans will work too). 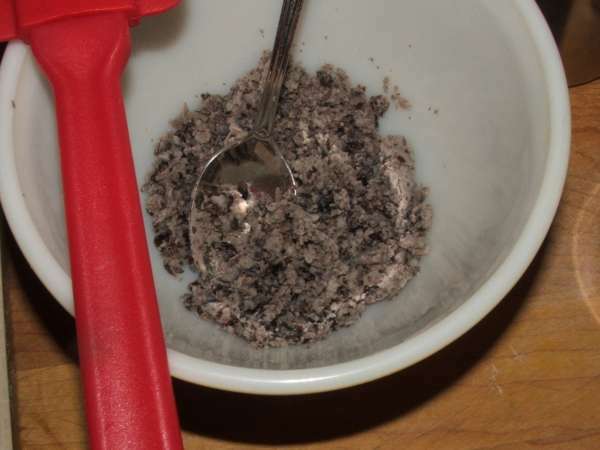 The black beans are soaked overnight, then cooked in water (NO salt) until tender, drained well and puréed. 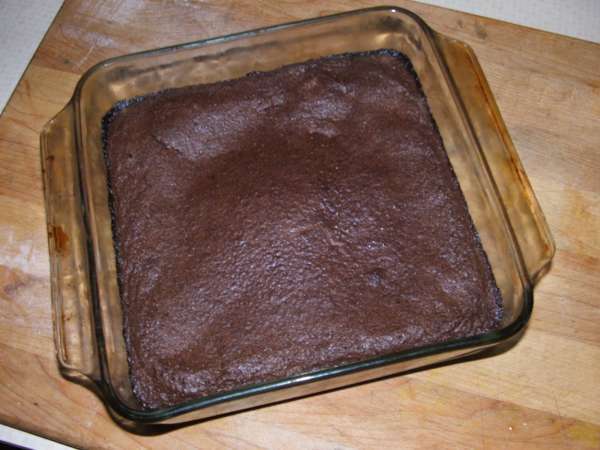 Just as with regular brownies, it's essential that all the ingredients are at room temperature. 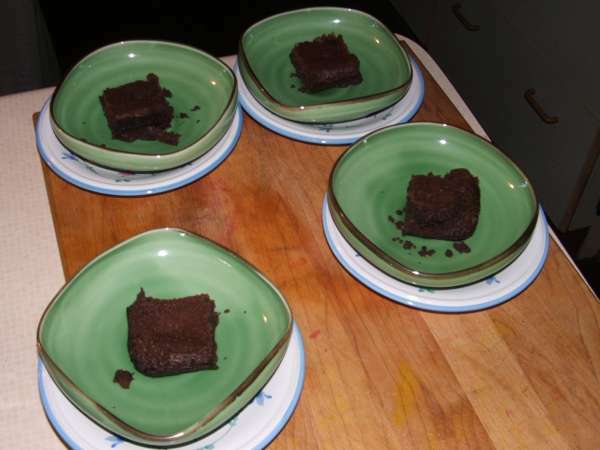 The brownies look JUST like brownies, even though there is no flour at all. 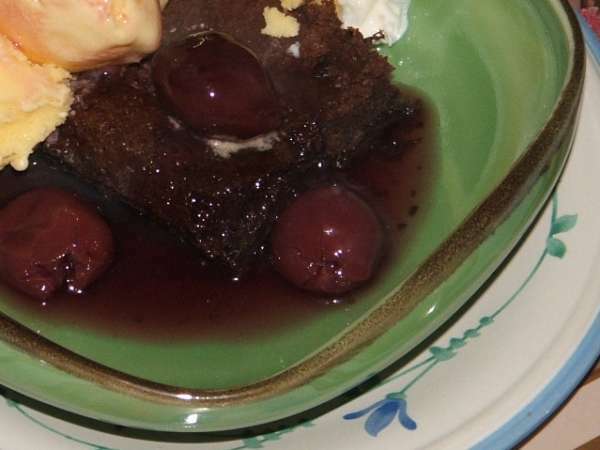 Of course, icing is always nice on brownies but we decided that ice cream and cherries jubilee would be fun too. 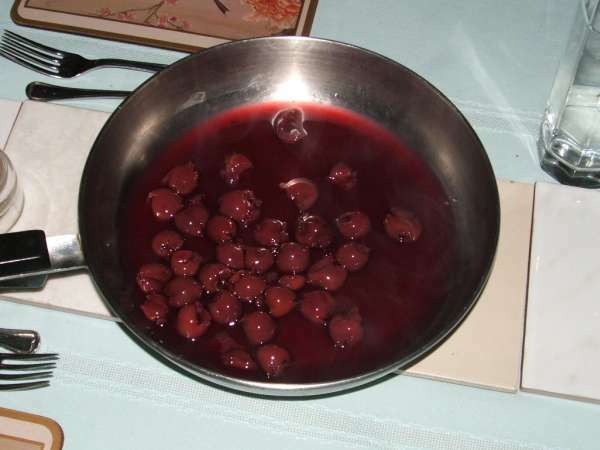 We used tinned sour red cherries in a light sugar syrup. 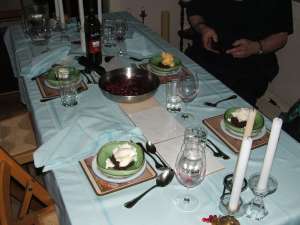 We served the brownies and ice cream (offering a choice of mango, cardamom or sweet cream) in their dishes and placed the pan of cherries on the table, put out the candles, and dimmed the lights in preparation for the jubileeing. 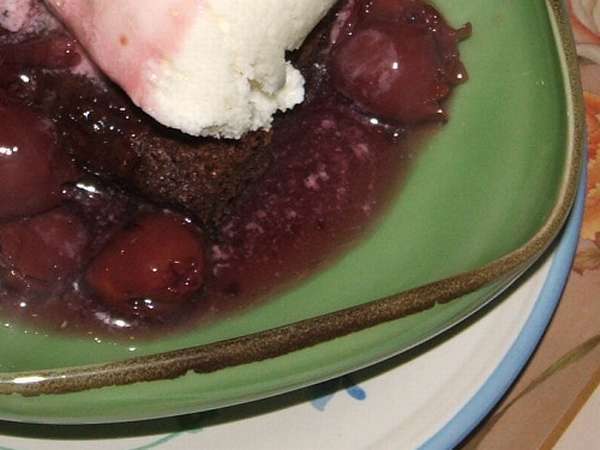 A few moments later, after the beautiful blue flames went out, we poured the cherries over top of the brownies and ice cream. This dish has mango ice cream. 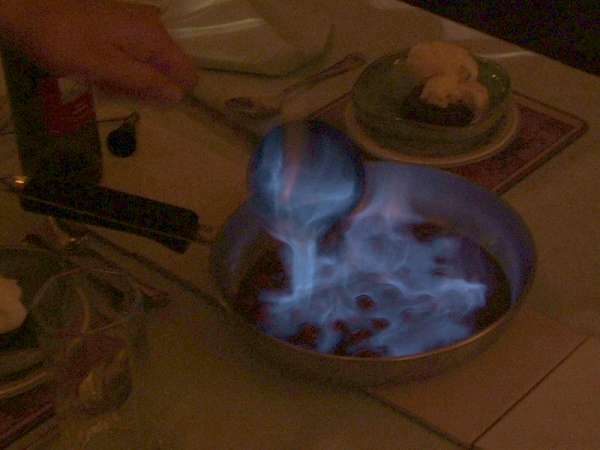 The dish under the pan has "sweet cream" ice cream. Ha!! 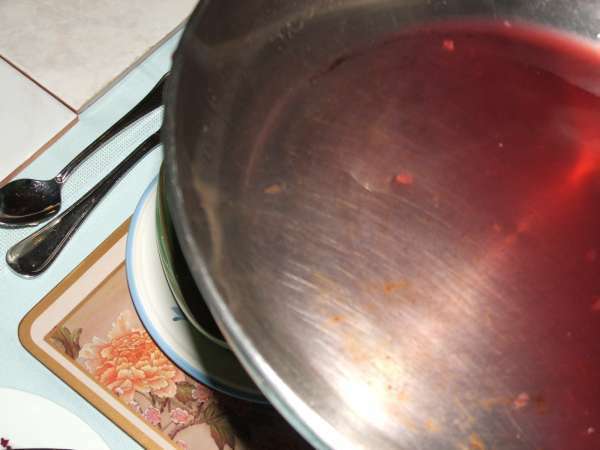 These are the hazards of trying to take photographs with a digital camera that has a delay on the shutter. 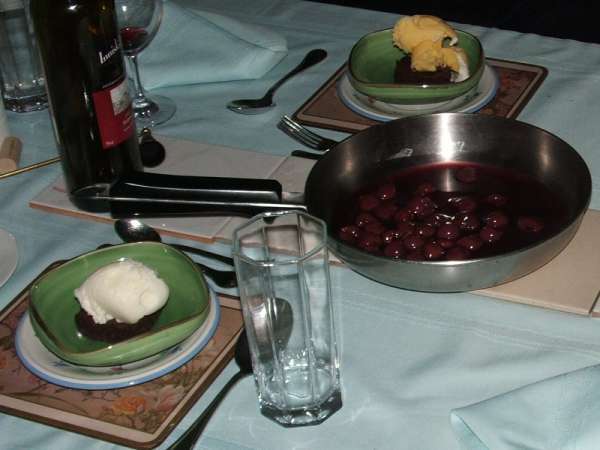 The same dish with "sweet cream" ice cream but without the pan getting in the way.... What a great way to celebrate Easter!